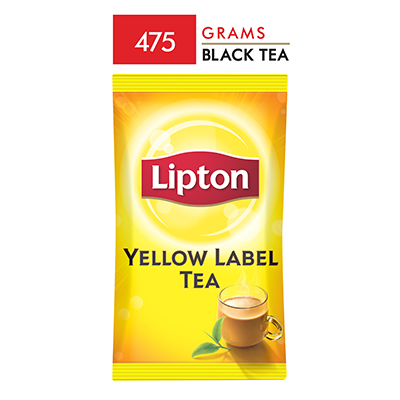 The most popular black tea loved by all employees. Lipton Yellow Label has tools to make unique looking pantries. Rich source of flavonoids and fluorides that will boost your employees’ energy levels! Enjoy Lipton’s unique rich taste with natural tea essence to give your day a boost of brilliance. • Add 2 gm per cup of tea in boiling water, cook for 3-5 minutes. Rich source of flavonoids and fluorides that will boost your energy levels. Ambient (Store in a cool dry place).